The Chuckster isn't enamored with the Atlanta Hawks. There's no getting around it. The loss of DeMarre Carroll this offseason in free agency to the Toronto Raptors was a blow to the Atlanta Hawks. But the Atlanta faithful are confident that the Hawks will be able to develop another stellar 3-and-D wing. 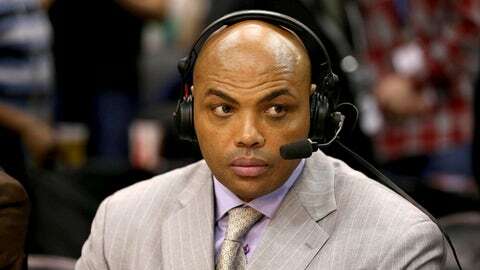 Charles Barkley, on the other hand? He doesn't exactly seem to share that optimism. Perhaps the Hawks' playoff failure is too fresh on Barkley's mind. In the postseason, Atlanta went ice-cold on wide open jumpers and had to rely on Carroll to create offense in the midrange and off the bounce. It wasn't the typical Hawks offense, but that small sample was particularly glaring since it came when the NBA's stakes were at their highest. Only time will tell if Barkley's right, though. For now, Atlanta has questions to answer — and reason to believe things will work out. Charles Barkley doesn't name Hawks in his East top 5. Ernie says, "Where's Atlanta?" Barkley: "In Georgia. They will not be in the top 5."